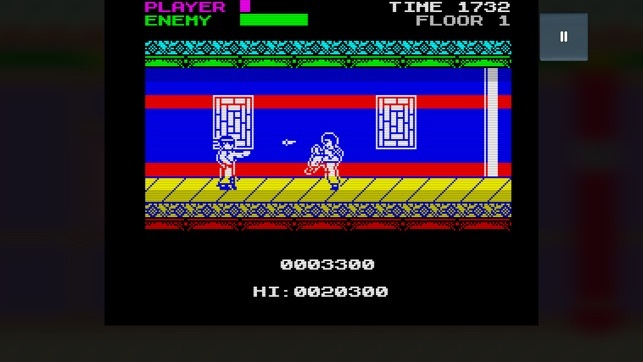 Classic retro style arcade action! 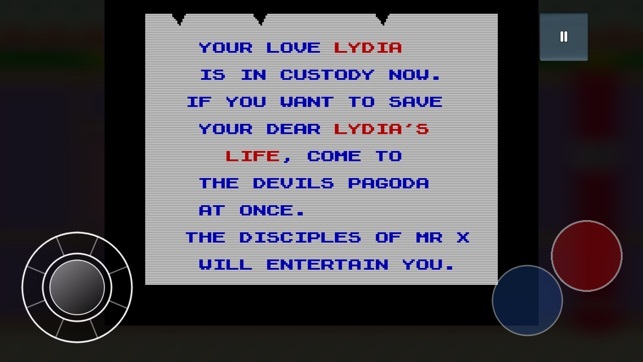 Can you take Hiro to the top of the Devils Pagoda to rescue Lydia, who was kidnapped by Mr X? 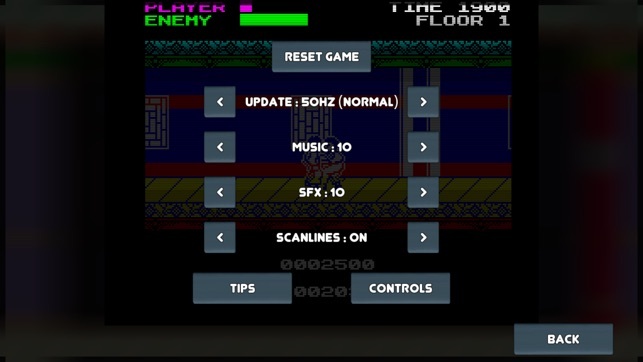 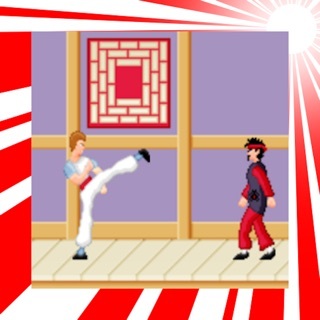 Kick and punch your way through 5 floors of henchmen, using your amazing Kung Fu skills! 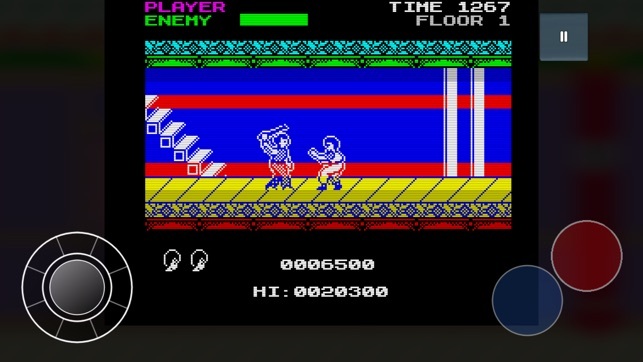 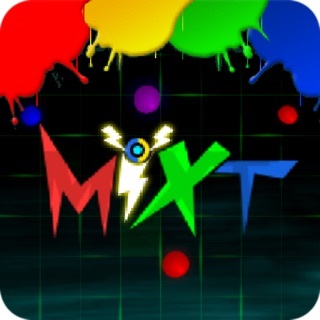 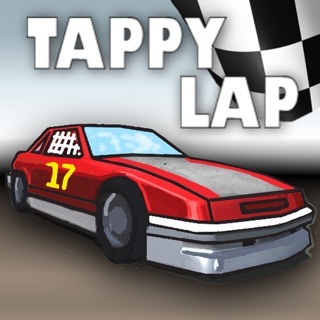 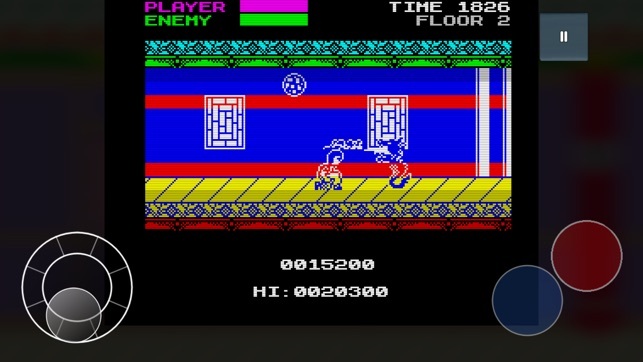 Originally produced for the ZX Spectrum by Uprising Games, and now available for iOS using a customised Z80 emulator, this version is enhanced with all new sound effects and a silky smooth frame rate, while retaining the authentic Speccy visuals!